An earlier version of this article first appeared in Yoga International. The 2010 publication of Yoga Body: The Origins of Modern Posture Practice, marked a watershed moment in the history of global asana culture. What was the big deal? A writer equally committed to research and practice produced a work of academic scholarship so rich, accessible, and interesting it quickly broke into the non-academic reading lists of enthusiastic practitioners and top-shelf trainings in the English-speaking world. 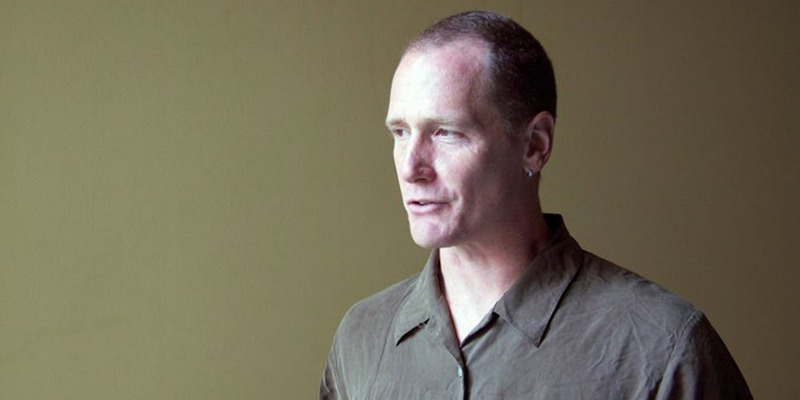 Mark Singleton’s book sparked countless conversations about the meaning of social authenticity in a practice meant to reveal personal authenticity. It revolutionized the genetic view of yogic transmission – in which instructions are handed down unchanged across generations and postcolonial boundaries – with epigenetic considerations of cultural, historical, and technological influence. Thoughtful students now had access to a meta-level of yogic inquiry. Books like Light On Yoga, Yoga Mala, The Heart of Yoga, and Moving into Stillness had always enjoyed pride of place on the training mat. But now, Yoga Body lay open amidst them like a Rosetta Stone. Now, the student who was unable to spend years doing ethnographic research alongside their practice in Pune might better understand the Iyengar phenomenon, to take but one example. Where did it come from? What are its comparables? How does Light on Yoga mobilize photography to represent and broadcast internal states? How can we understand its claims? What do its claims say about the concerns of Iyengar’s day? Are his concerns similar to or different from our own? Who is the “we” when we speak of yoga? As expected in such highly-charged territory, there have been ad hominem swipes as well. Singleton has been called a debunker, a cultural appropriator, a “junior scholar from England”, and a pro-colonial revisionist intent on delegitimizing the Indian roots of postural practice. I’d provide links to these critiques, but most of them have disappeared into the void of social media, to echo on in smug chats around studio water coolers. On one hand, the ephemeral nature of the charges are a mark of their intellectual poverty. On the other they testify to the popular reach of the book, and its sting. I knew Singleton’s work would hit the yoga world hard, which is why I invited him to present at the first non-profit yoga festival I co-directed in Toronto in the summer of 2010. He showed up in khakis and a linen shirt and the smallest laptop I’d ever seen. “Good for travelling light,” he smiled. He presented his slides and his thesis with humility, warmth, and a polite conservatism with regard to the implications of his research. For the 2015 publication of the Serbian-language edition of Yoga Body, Singleton reprises this conservatism with a new introduction that deftly responds to several distortions of his work. 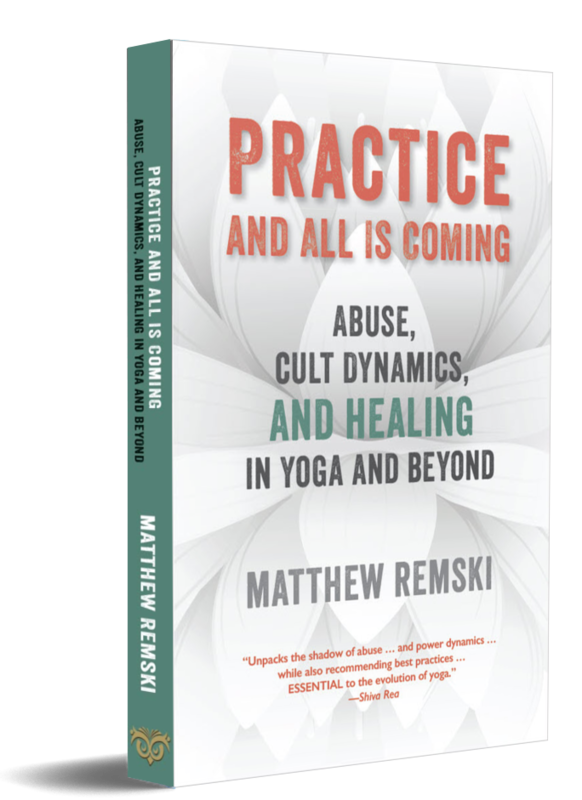 He shows how his research carves out a middle way between the essentialist view that yoga is an unchanging śruti and the relativist view that everyone is making it up as they go. No, he doesn’t claim that globalized yoga forms only involve asana. No, he does not claim that asanas are a “recent invention”. to speak of adaptation, reframing, reinterpretation (and so on) rather than invention, insofar as these terms foreground the on-going processes of experimentation and bricolage that characterise the recent history of globalised yoga, and keeps us away from debates about the genealogies and ultimate origins of particular postures. It is here, in the very work of interpretation and assimilation of tradition and modernity, that the main interest of this book lies. Yoga Body does not undertake – or claim to undertake – a comprehensive philological review of premodern Sanskrit sources, but rather concentrates on late-19th and early 20th century Anglophone presentations. Sanskritists like James Mallinson argue it’s important to continue researching the pre-colonial antecedents of asana practice, lest readers of Singleton’s work conclude them to be insignificant. To address this area, Singleton has teamed up with Mallinson for the Roots of Yoga project, and with their colleague Jason Birch for the five-year “Haṭha Yoga Project: Mapping Indian and Transnational Traditions of Physical Yoga through Philology and Ethnography”. that I have discovered in numerous Tantras the the core Ashtanga Pranama-based [respectful salutation] “Surya Namaskāra” revived by Krishnamacharya: the 12-part vinyāsa, with corresponding seed mantras and pranayāma. It is a stock ‘krama’ in the initiated Tantric’s yogin’s daily ritual…. This dynamic practice is given in every one of the six Tantras listed by Krishnamcharya as source texts in Yoga Makaranda (1934, preface). Suffice to say, it is nearly identical in these texts to the version he taught. So: the arcane mill of philological research will continue to grind, in the hope of producing the bread of consensus. The more emotionally polarizing effects of Yoga Body are unlikely to resolve anytime soon, however. Why? Singleton offers several insights. I’ll focus on two, the first being geopolitical. There is a rising Hindutva discourse that seeks to reclaim all things yogic into an homogenized vision of Indian heritage. It is motivated by just grievances against colonial humiliation, the white privilege and racism of early Indology, and the postcolonial disempowerment of a global wealth inequality against which asana has emerged as a royalty-free multi-billion-dollar cultural export. But the loudest part of this discourse is twisted by saffronisation, the belief that terms as polysemic as “yoga” can be defined (let alone owned) by cultures as diverse as global Hinduism, and the false assumption that global academic Indology hasn’t changed in a century. Assessing and presenting degrees of innovation and continuity in contemporary or revived traditions like transnational yoga is always fraught, insofar as modification is typically (although not always) presented as the transparent transmission of ancient and unchanging teachings. My guess is that the rather straightforward research of Yoga Body has been distorted by critics because its implicit revelation is too uncomfortable to face directly. In the above sentence and in the book generally, Singleton exposes one of the core mechanisms of transnational yoga marketing: a new thing becomes an attractive and sellable thing by being wrapped in the mantel of antiquity. It is easy for a longing for an original self to elide into a longing for an ancient practice. In the aspirational discourse of modern yoga, the ancient practice and original self shine together, prior to the slings and arrows of memory, injury, disruption, colonialism, culture-jamming, recovery, reconstruction, and consumerism. But when we scratch the surface, the “ancient and unchanging teachings” are not quite all that. There are definite links between pre-modern and modern iterations, and further research will uncover more. But there are also obvious modern interpolations from far afield – some of which are surely distasteful for some enthusiasts to contemplate. How would it feel, after all, for an essentialist to consider that their indigenous embodiment practice only globalized after being “infected” by the military exercises of colonizers? Neither is it a “transparent transmission”, at least in an historical sense. The core genealogy of modern global asana vanishes into the vague self-reports of Krishnamacharya’s youth, and the contradictory hagiographies penned by the Desikachar family (detailed assiduously by D.G. White). Krishnamacharyan lineages that stake their authority on notions of historical parampara may be appealing more to a wish than reality. There is, however, another branch of postural culture that might shed light on how much meaning that wish carries. A look at the Kripalu system can show how yogic transmission strikes such a deep chord that both students and teachers are tempted to gild it with historical gravitas. Singleton doesn’t mention this subculture in his book, perhaps because it barely intersects with the established paper-trail of modern yoga and its pantheon of heroes. But if he had, it could have provided a sharp lens into how notions of lineage and authenticity are used to communicate emotional rather than historical values. It would show how institutions refer to authority in an attempt to stabilize the transience of love. On paper, both Kripalu and now the Amrit Yoga schools tie their esoteric legitimacy to the ancient Lakulish sect. But in person, Desai implies that this may be a mere formality. When I interviewed him in September in Salt Springs Florida, he insisted that the transmission given to him through Babuji was not about unbroken methods or perfect techniques. He said that it was about the love and tenderness out of which all methods and techniques arise creatively, spontaneously. Of course, the spontaneous method is not a method at all, but an expression. With its gentle deconstructions of “original” and “authentic”, Yoga Body implicitly pries yoga discourse away from the content and structure of lineage history and points towards its subtlest expression of intimacy. If “authentic” can no longer refer to an unbroken continuity of method, or an unbroken genealogy of student-teacher relationships, it must now refer to the quality of relationship in the moment of transmission. Yoga Body is uncomfortable for some because it raises questions about those moments and qualities of relationship. About why we believe in teachers and what they are teaching. About the moment we fell in love with something that either really did change our lives, or that we must believe changed our lives in order to keep our visions of order and progress intact. The research of Yoga Body may trouble our definitions of yoga and asana and our assumptions with regard to tradition and innovation. It may complicate our hopes for connecting with a solution proven by the ages. But I can’t think of a book with a more “yogic” thrust, if yoga is the attempt integrate. The book braids the cultural and the personal. It invites the individual body to do acro with the body politic. It nudges disparate times and paradigms of knowledge into an uneasy embrace. It suggests that when you are doing surya namaskāra, your sensation of internal oneness might be vibrating with the conjunction of cultures and histories. The quality of relationship in the moment of transmission. I suspect this is what is felt as parampara. The imagining of all those moments ~~that led to: You. Without the many other moments, these many relationships, where would ~~.I.~~ be? From this location, the pastiche can go in various directions. Lately, many seekers have been ‘saved’ (found a “solution”) via a deep and poison narcissism. Fascinating, as usual. Thank you. Pingback: Am I Misappropriating Yoga? I have come across posters like this in Calcutta from the same era, and of course, Buddha Bose had done his in the late ’30’s before he and Bishnu Ghosh came to Europe and the US. Do you know whether this poster was from Kuvalayananda, Yoga Mimansa, or otherwise? I also like how you unpacked the second insight. It’s something I encountered happening there as well. Singleton touches on it, but it’s more through the research of Claudia Guggenheim (Calcutta Yoga, 2003-4, unpublished) and from my own interviews there this past year, that it became clear that it’s not just a western thing! The transition, or mixing up, of yoga asana and bayam (exercise) she found was all about marketing in one sense, for therapeutic yoga to take hold in the city in the 1940’s. Bishnu Ghosh and Nilmoni Das did this with yoga to bring out its benefits more widely. But they did it in a way that is really lacking in the west, by incorporating physical therapy, or pre-asana, practice with the yoga. It really struck me, being in Calcutta the past couple of months doing training in it, how much of the yoga in the west has gotten stuck into this asana-only mindset, without a pre-asana accessibility for someone that starts with a frozen shoulder. Instead, that’s all in another profession, physical therapy! The industry has been boxed into a fad, a lululemon-vogue young-looking and fit-body maintenance model without much hope for appeal beyond in its current offerings. “Parampara” is just a fancy word for elitist nepotism. If you grew up in India on the wrong side of the caste divide, you know what that actually means! If “authentic” can no longer refer to an unbroken continuity of method, or an unbroken genealogy of student-teacher relationships, it must now refer to the quality of relationship in the moment of transmission. As always, Matthew, brilliant and astute writing.